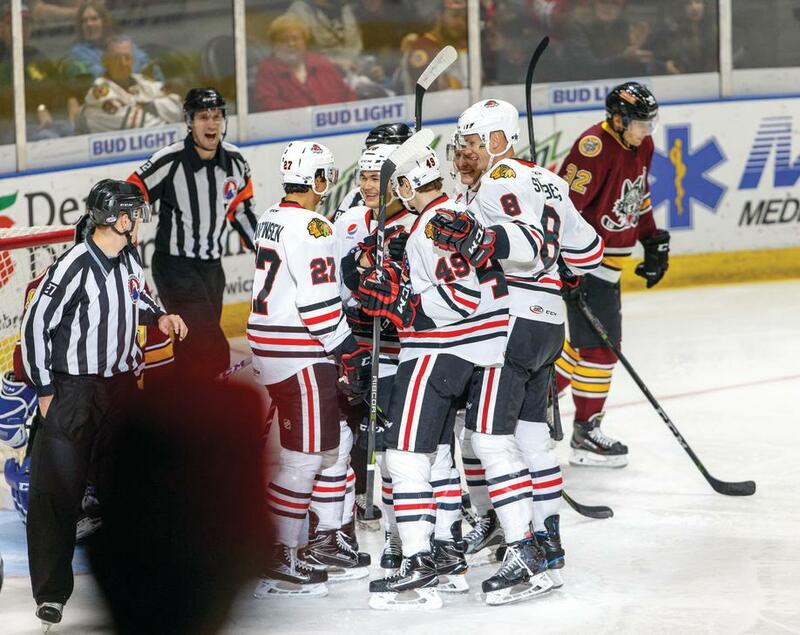 The Rockford IceHogs have rediscovered their stride at just the right moment as they secured their spot in the 2017-18 Calder Cup playoffs along with the Chicago Wolves, Grand Rapids Griffins and Manitoba Moose. With wins in six straight games and points in 16 of the last 19 contests since Feb. 24, the Hogs have leapt Iowa in the standings to clinch a place in the playoffs. A perfect mix of rookie talent and veteran leadership has helped the IceHogs to an overall record of 38-25-4-4 entering the final two weeks of the regular season. The roster is highlighted by rookie standout in forward Matthew Highmore, who this year set the team’s AHL record for most goals by a rookie, and veteran goaltender Jeff Glass, who is in his 13th year of professional hockey. Glass has appeared in 48 playoff games (in the Kontintental Hockey League) during his pro career, and is anxiously eying his first postseason contest in the American Hockey League. Colliton agreed, and suggested it’s the team’s tandem of rookie talent and veteran presence that will serve as the driving force if the IceHogs are to make a deep run in the Calder Cup playoffs. Looking ahead, the IceHogs have dates with divisional opponents in three of their five remaining games. 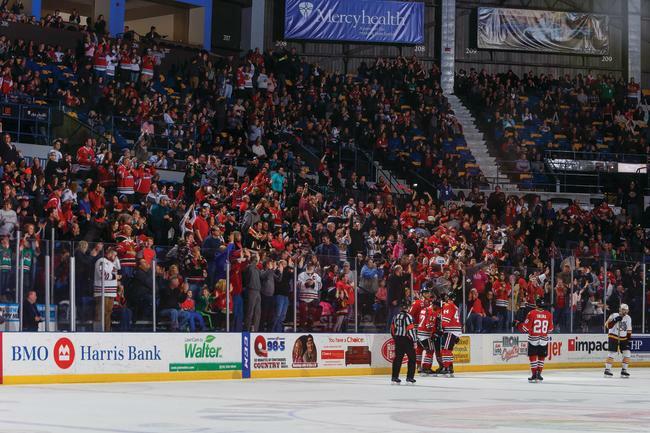 But with just one of those coming on home ice (April 13 vs. the Chicago Wolves), they will have to put in the work in some hostile environments to get the chance at a few more outings in front of their loyal fans at the BMO Harris Bank Center during the Calder Cup playoffs. 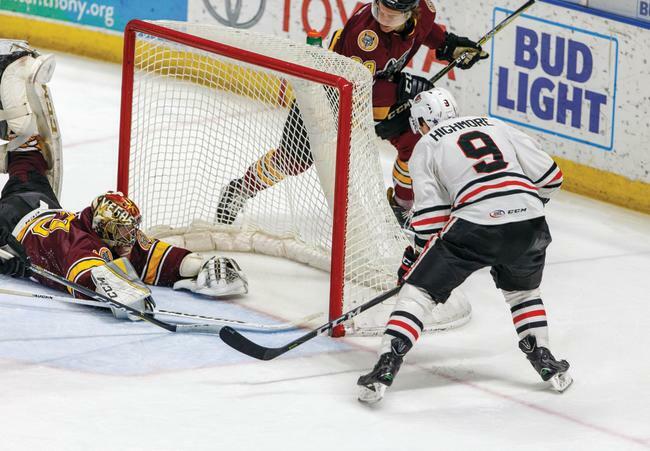 Veteran defenseman Viktor Svedberg, one of four current IceHogs players to have partaken in the team’s last Calder Cup playoff appearance in 2015, echoed both Colliton and Glass on the team’s mentality as Rockford approaches the postseason. Svedberg is impressed with way the IceHogs have performed on the ice as of late, and is excited about the prospect of having another crack at the AHL’s top prize.